Marc A. Levin is Vice President of Criminal Justice Policy at the Texas Public Policy Foundation. Based in Austin, Texas, Levin is an attorney and an accomplished author on legal and public policy issues. Levin served as a law clerk to Judge Will Garwood on the U.S. Court of Appeals for the Fifth Circuit and Staff Attorney at the Texas Supreme Court. In 1999, he graduated with honors from the University of Texas with a B.A. in Plan II Honors and Government. In 2002, Levin received his J.D. with honors from the University of Texas School of Law. 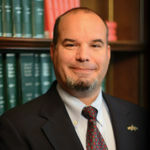 Levin’s articles on law and public policy have been featured in national and international media outlets that regularly turn to him for conservative analysis of states’ criminal justice challenges. 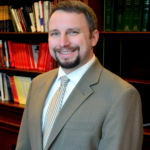 Derek M. Cohen, Ph.D is Director of Right on Crime and the Center for Effective Justice at the Texas Public Policy Foundation. Cohen graduated with a B.S. in Criminal Justice from Bowling Green State University. He went on to complete an M.S. degree in Criminal Justice from the University of Cincinnati, where he also recently completed his Ph.D. dissertation on the long-term costs and outcomes associated with correctional programming. 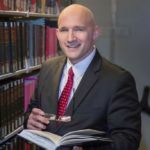 His academic work can be found in Policing: An International Journal of Police Strategies & Management and the forthcoming Encyclopedia of Theoretical Criminology and The Oxford Handbook on Police and Policing, and has scholarly articles currently under review. He has presented several papers to the American Society of Criminology, the Academy of Criminal Justice Sciences, and the American Evaluation Association on the implementation and outcomes of various criminal justice policy issues. Prior to joining the Foundation, Cohen was a research associate with University of Cincinnati’s Institute of Crime Science. He also taught classes in statistics, research methods, criminal procedure, and corrections. 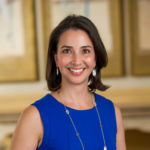 Caroline Espinosa is Deputy Director of Right on Crime at the Texas Public Policy Foundation. Prior to coming to Right on Crime, she served at the U.S. Department of State on the Secretary’s Policy Planning Staff. Espinosa was previously at the Texas Public Policy Foundation as its Director of Communications. Additionally, Espinosa was the Deputy Director of Communications at the U.S. Global Leadership Coalition (USGLC) and Communications Director at the American Chamber of Commerce in Thailand (AMCHAM Thailand).Espinosa also spent nearly a decade on Capitol Hill, where she worked for the Senate Foreign Relations Committee, House Press Gallery, and as press secretary for a U.S. Senator. She earned her Bachelor of Arts in International Affairs from the George Washington University and herMaster of Science in Management from Excelsior College. John Koufos is the National Director of Reentry Initiatives for Right on Crime. 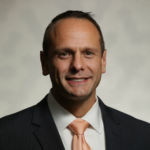 Joe Luppino-Esposito is a Manager of Federal Initiatives for Right on Crime and the Center for Effective Justice at the Texas Public Policy Foundation. He serves as the Foundation’s liaison in and around the nation’s capital, working with Congress, state legislatures, and allied organizations to develop criminal justice reforms. 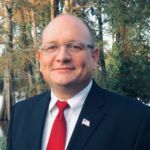 Prior to joining the Foundation, he was the editor and general counsel of State Budget Solutions, focusing on public employee pensions and state budget reforms. 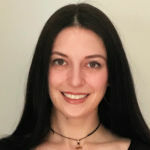 As the Visiting Legal Fellow at the Heritage Foundation, Luppino-Esposito worked on the overcriminalization project, analyzing federal criminal laws. Luppino-Esposito earned a J.D. at Seton Hall University School of Law, where he was editor-in-chief of the Circuit Review legal journal, and a B.A. from the College of William and Mary. A New Jersey native, he is a licensed attorney in Virginia, where he currently resides. Shae Cali is a fellow with Safe Streets & Second Chances, a project of the Right on Crime initiative at the Texas Public Policy Foundation with support from Koch Industries. Shae Cali has worked in the areas of criminal justice reform and behavioral health services for the past ten years. She has worked on NIH-funded studies on health-seeking behaviors in men and women returning from periods of incarceration, as well as working with the Prison Visiting Project at the Correctional Association. In 2014, Shae helped build the New Jersey Reentry Corporation to implement effective, innovative, and humane evidence-based reentry services across nine counties. As Clinical Director, Shae oversaw the execution and planning of direct services and service linkages. She also has an strong interest in the human-animal connection and its ability to restore dignity and trust to those impacted by trauma and illness. She is also a certified yoga/meditation instructor with a passion for the great outdoors and hopes to someday visit all of our beautiful national parks. Shae holds a B.A. degree in Religion from Barnard College and Master’s degrees in Social Work and Public Health from Columbia University, where she helped mobilize graduate students around the intersection between public health and the criminal justice system. She is a Licensed Clinical Social Worker in her home state of New Jersey. 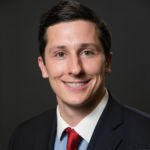 Michael Haugen is a policy analyst at Right on Crime and the Texas Public Policy Foundation. His writing has appeared in National Review, The Hill, Townhall, Washington Examiner, Dallas Morning News, El Paso Times, TribTalk, Redstate, Ricochet, and Breitbart Texas. Andrew Speno is the State Director of Oklahoma. Andrew previously worked as President of Media Strategies at Dry Design Group, a media consulting firm focusing on work with law firms, political candidates, lawmakers, and private companies. Andrew was the main news anchor at the Fox News affiliate in Oklahoma City from 2001 to 2012, while focusing on political and investigative reporting. His work won more than 25 awards from the Associated Press, Society for Professional Journalists, and The Oklahoma Association of Broadcasters. Joe Griffin is the Communications and Policy Coordinator for Oklahoma. A native of Baltimore, Joe earned bachelor’s degrees from University of Maryland Baltimore County and Towson University. After college, Joe spent the early years of his career in TV news, reporting on crime and state and local politics in West Texas, New Mexico and Oklahoma. Joe went on to serve as the communications director for two Oklahoma Speakers of the House and worked as a media consultant for a number of political campaigns. He is currently finishing his Juris Doctorate at Oklahoma City University School of Law and will take the bar exam in 2019. Kurt Altman is the State Director of Arizona and New Mexico. Kurt became a signatory for Right on Crime in early 2016 and recently more fully joined the reform movement, promoting Right on Crime’s policies in the State Houses of Arizona and New Mexico. He has nearly 24 years of criminal law and Constitutional litigation experience. As a former Deputy Maricopa County Attorney and Assistant United States Attorney, Kurt has conducted literally hundreds of felony jury trials and lead investigations of criminal conduct ranging from homicide and capital cases to complex white collar matters. Formerly, as a member of the Department of Justice, Kurt earned the Director’s Award, the highest honor bestowed upon Department of Justice lawyers, and has twice received the Federal Bureau of Investigation Director’s Award for his tireless efforts on behalf of FBI-conducted investigations. Since 2008 he has operated his own practice defending the accused in criminal matters of all varieties also ranging from homicide to white collar. Scott Peyton is the State Director of Louisiana. Chelsea Murphy is the State Director of Florida. Chelsea has been immersed in Florida politics for the past decade, and advocated on behalf of various clients ranging from Fortune 500 companies, trade associations, non-profits, to local governments. More specifically to justice reform she represented the largest and oldest private provider for re-entry programming in the state of Florida. She helped start two smart justice coalitions, and she’s represented a variety of mental and behavioral health stakeholders. Thomas Lyons is the State Director of Wisconsin. 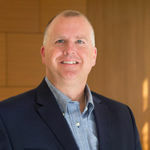 After receiving an undergraduate degree from the University of Illinois and a law degree from Marquette University, Tom entered the legal field. Working in offices in Kewaunee and Sheboygan Counties, Tom’s practice focused primarily on criminal defense, juvenile, and mental health law. Switching to the world of policy, Tom started as a legislative aide to a member of the Wisconsin State Assembly, followed by a State Senator, and for a brief time Governor Scott Walker before joining Right on Crime on 2017. Julie Warren is the State Director of Tennessee and Kentucky. Julie is a graduate of Marshall University and of Regent University School of Law. She also attended Georgetown Law Center as a visiting student. While in law school, she clerked on the Senate Judiciary Committee. Julie served four years at the U.S. Department of Justice in Washington, D.C. After a few years in private practice as a civil defense litigator, Julie returned to public service and began her work in the Office of the West Virginia Attorney General where she primarily served as an appellate advocate for the State of West Virginia and as legislative counsel to the Attorney General. Former Texas House Committee on Corrections Chairman Jerry Madden is a Senior Fellow at the Right on Crime campaign. Rep. Madden is best known, along with Senator John Whitmire, as the driving force behind the successful and much-copied 2007 Texas criminal justice reforms. (For their work, Governing Magazine named them Public Officials of the Year in 2010.) Madden graduated from West Point with a BS in Engineering, obtained a Master of Science in Management and Administration Sciences from the University of Texas at Dallas in 1979, and has since been honored as one of their distinguished graduates. After being elected to the Texas Legislature in November of 1992, he served ten terms. While there, Rep. Madden was Chairman of the House Committee on Corrections from 2005-2009 and again from 2011-2012. In 2011, the American Legislative Exchange Council honored Rep. Madden as their Legislator of the Year. He chaired ALEC’s Public Safety and Elections Task Force from January 2011 through April of 2012, and serves as well on the Texas Criminal Justice Integrity Unit. He and his family have lived in Richardson, Texas since 1971. Craig DeRoche is a senior fellow with Right on Crime. Under DeRoche’s leadership, Prison Fellowship’s advocacy has developed a group of federal and state elected officials known as the Faith & Justice Fellowship to advocate for values-based justice reform. This group includes United States Senators, Congressmen, state legislators and a Governor. DeRoche is the co-author of Prison Fellowship’s small group study guide and trade book titled “Outrageous Justice” that is being distributed throughout American churches. DeRoche serves as an Advisory Board Member to the Vera Institute for their “Reimagining Prison” project. He is a former member of the Charles Colson Task Force on Federal Prison Reform created by Congress. DeRoche is a frequent author and contributor to news, media and opinion pieces. DeRoche has his bachelor’s degree in Finance from Central Michigan University. Working closely with Right on Crime and the Texas Public Policy Foundation is Patrick J. Nolan, Director of the Criminal Justice Reform Project at the American Conservative Union Foundation. He is a former California Assemblyman and the author of When Prisoners Return. Nolan understands the inside of a prison well, having served 29 months in federal custody after pleading guilty to a charge of racketeering. He earned a B.A. and a J.D. from the University of Southern California. Sheriff (Ret) Currie Myers, PhD, is a Visiting Senior Fellow with Right on Crime. Dr. Myers has a combined 30 years of professional experience as a state trooper, special agent, sheriff, criminologist, professor, and university executive. Dr. Myers ended his law enforcement career as the sheriff of Johnson County, Kansas which serves a population of more than 600,000 citizens in the Kansas City Metropolitan area and is one of the largest sheriffs’ offices in the Midwest with nearly 750 employees and a jail population of approximately 1,000 inmates. 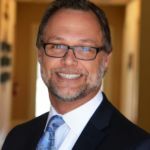 He is a nationally recognized expert in criminal justice public policy as well as organizational management and leadership and has spoken at more than 1,000 local, state, and national conferences.